Use our Price Beat Guarantee to get the best price on new tires in Durham, Raleigh, and Chapel Hill. Did you know that we’re now open for business in Durham? It’s true! Now that we’ve crossed the Durham county line, we’re trading in our Carolina blue for Duke blue! You can find us in the Woodcroft Shopping Center off of Highway 54. Chapel Hill Tire can fix anything: imports or domestics, hybrids or diesel engines, Fords, Hondas, Volkswagens, and everything in between. From oil changes to regular maintenance services to car accident repairs, we’ve got you covered. 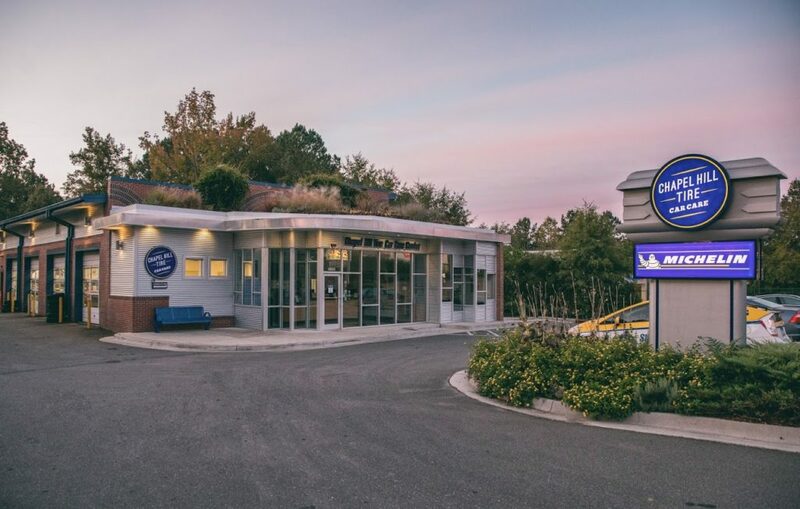 Whether you’re a Tar Heel or a Blue Devil, come on in to Chapel Hill Tire in Durham for a convenient, friendly and fast car service center near you. Chapel Hill Tire’s Woodcroft location in Durham, NC is headed up by Stephen Hall who promises to provide the highest quality of service by incorporating Chapel Hill Tire values into everything his shop does. His hope is that Chapel Hill Tire will provide people of the Triangle with a friendly, convenient alternative to dealerships. Stephen loves his employees because they enjoy coming to work and have a passion for working on cars. 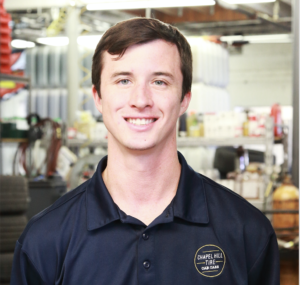 To him, each and every employee makes the Triangle’s most trusted car care center stand out with their dedication to genuine, attentive, and thorough service.